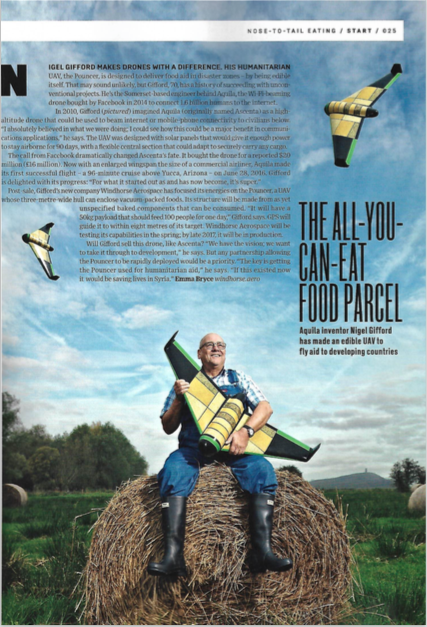 Wired Magazine - The all you can eat drone. If you're looking for a good read, look no further than the latest Wired magazine. 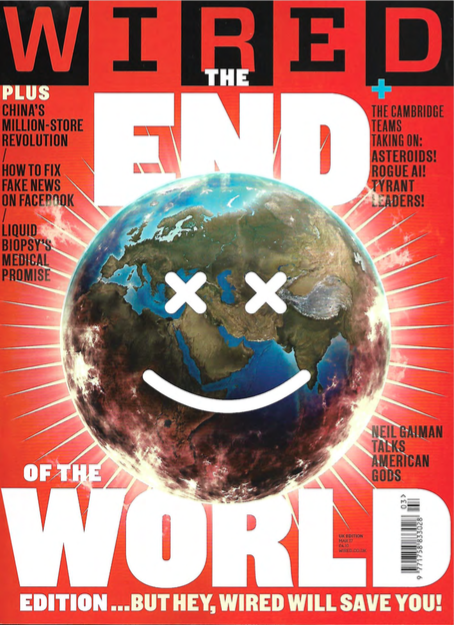 With the enticing 'End of the world' cover and a full page on our Pouncer AAV, it's a good read throughout. Our photoshoot was done in a west country farm with our founder Nigel Gifford wearing wellies and overalls so it's not a glossy LA photoshoot but true to our grassroots and shot in a field where we hope one day some of the produce for the Pouncer will be grown!